Tree Removals are hard and sometimes dangerous work, especially if power lines are involved. If the trees are particularly large, in difficult locations or require transplanting, you’ll need an experienced company with the right knowledge and equipment. Treetech removals services are hard to beat. We specialise in dealing with trees in difficult and hard to reach locations. With the serious equipment we have that includes rigging gear, chippers, diggers and stump grinders, you can trust us to remove any tree safely and efficiently. But it doesn’t end there. Our arborists take as much pride in cleaning up after themselves as they do looking after your trees. We will even clear up already dead or fallen debris, and recycle the organic matter into firewood or mulch and stump grind so the area is clear for whatever you have planned for it. For those special trees, our transplanting expertise enables us to lift any trees you want to save and safely replant them at another location. And if you want to replace any trees we’ve removed with new ones, our planting service can source and plant on any scale. Should you have other trees and shrubs on-site that require care and attention, our professional services include thinning and pruning as well as reduction and shaping. From council parks and streets to backyards, rural properties and complete subdivisions, our consultants can visit with you to assess and cost removal jobs. Whether your project is commercial or residential, large or small – contact us now, our local consultants are ready to work with you. 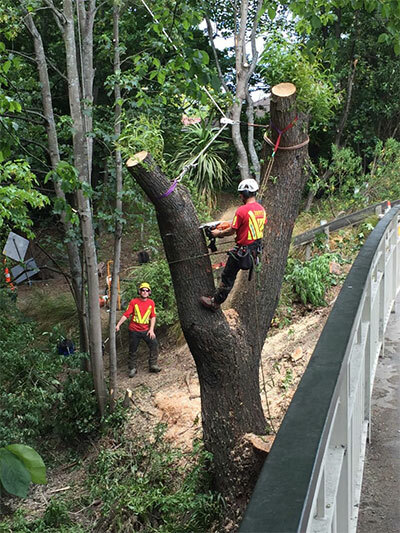 Contact us today for tree removal services in the Canterbury or Wellington areas.